I was thinking yesterday about the golf lessons that I had some time ago. That was a very frustrating time for me. The teacher and I spent most of the time working on setup and back swing. That was it! The coach had it in his mind that these so called fundamentals were the key to learning a better golf game. I think he was wrong. For starters it was boring. Each lesson started the same way, with the video being used and the coach drawing lines on the TV screen. Then we went outside to do some drills. I wasn’t sure about him but each lesson followed the same path with the same result and after a few lessons I was fed up. I couldn’t do what he wanted me to do, despite my best efforts. This process lasted a while until I gave up… I walked away, frustrated at his lack of flexibility. I have a friend who experienced something similar. For him these ‘boring’ lessons lasted for over two years. This makes no sense to me and I think there is a better way. I think golf lessons should follow a process that allows golfers to actually play golf. This means the focus must be on increasing enjoyment, learning and maximum performance. Not on boring fundamentals! After completely ignoring conventional advice, then being able to take giant steps and then later teaching the same principles to others with great results I feel confident in making the following comments. The development of client’s natural swing. Work with the client’s OWN swing and allow that to shine through. Forget outdated swing theories and models. Teaching of strategies to take natural swing to the golf course. Critical! 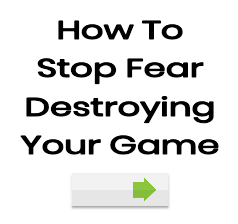 Method for over coming self-doubt and fear. Let’s face it, golfers can lose the plot and need to know how they can get it back. A strategy to make three foot putts 99% of the time. This strategy will work for all putts so it’s perfect win-win. A simple technique for getting bunker shots onto the green most of the time. You will notice there is not a large focus on technique, but rather on allowing the pupil to experience their best game possible. By allowing your natural swing to shine through you are giving your system back what feels comfortable to it. You already own it and it is the swing that has given you all those great shots that pop up every now and then. I want you to be able to do this all the time however! Then you must be shown how to take your game to the golf course. For the most part this step is ignored, with instructors leaving it to chance or giving it scant regard. This is not good enough. I believe that if golfers were taught this one step then many of golfer’s problems would be left behind. The third step goes hand in hand with the second. When you get nervous and start to experience self-doubt your game can fall apart. Even with a perfect golf swing, you will never succeed if you don’t know how to manage your emotions properly. Learning to make those short putts is critical to keeping your score moving in the right direction. If you keep missing them then you’re simply leaving too many shots out there and frustration will set in. This step shouldn’t take long and must not be full of detailed technical instruction. The best part is that a good approach to tackle those short putts will allow you to make putts of all distances. And finally some golfers (read most) need a strategy for getting out of bunkers. There’s no need to play like Tiger Woods in this area. But if you can get out on your first attempt and then two putt, you’ll be ahead of your competition. Again, it doesn’t require that you get bogged down…it should be fairly easy. Imagine all those strokes you could save if you learned to get out of bunkers first time? I think this approach is better than the boring approach that I spoke about earlier…an approach that nearly caused me to walk away from the game forever. I know that this approach is not a quick fix and will take some practice, but it shouldn’t take years to start to get some real results.